5 miles north of Jackson Wyoming, turn on Gros Ventre River Road, drive until you can drive no more, then return and enjoy every minute of this back country gem. 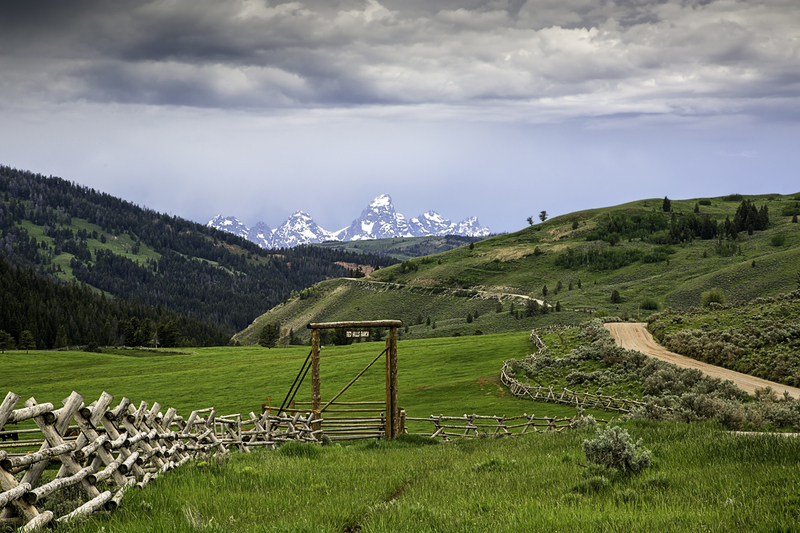 The Red Rock Ranch in the Gros Ventre Valley of Jackson Hole Wyoming. The Grand Tetons tower over the valley like a crown.